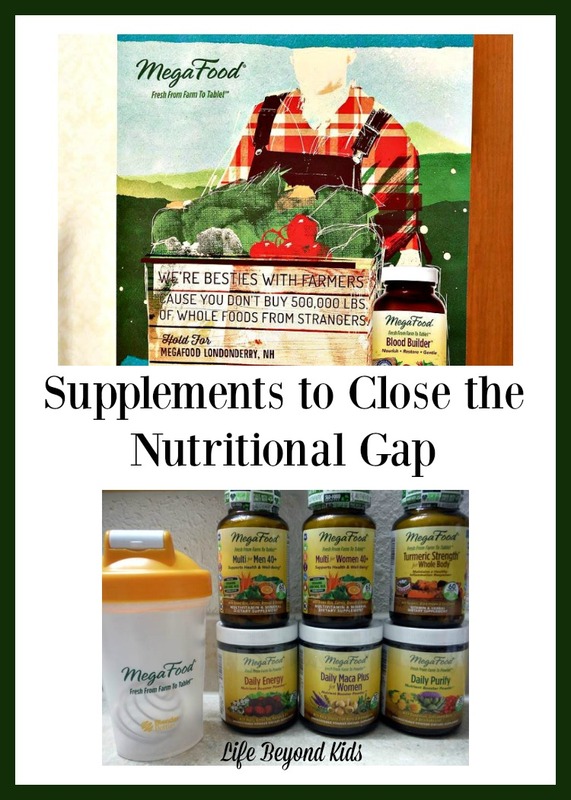 Thank you to MegaFood for sponsoring this post on Supplements to Close the Nutritional Gap. They provided me with samples and swag. However, all opinions are my own. Affiliate links are present. MegaFood, a company committed to the production of whole food supplements, was there. They sponsored a lunch time talk by Dr. Low Dog which blew my mind. You know your mind is blown when you can’t quit thinking about the topic and want to share with others in your life. If you could ask my parents, aunt, and a few others close to me, they’d verify that I shared a ton of information from that one talk. Dr. Low Dog’s talk was based off her new book, Fortify Your Life. We can not get meet all of our body’s nutritional needs from the food we eat. Is your mind just a little bit blown? Okay, maybe it would be if you saw the statistics she’d dug through and shared. Because, we are not talking about mild deficiencies. Rather, there are some key nutrients for which a significant percentage of the population has a serious deficiency. That graphic she shared is just a snippet of everything. Those deficiencies lead to health issues. Some of them can be overcome by getting the nutrition you need while some may lead to permanent problems. 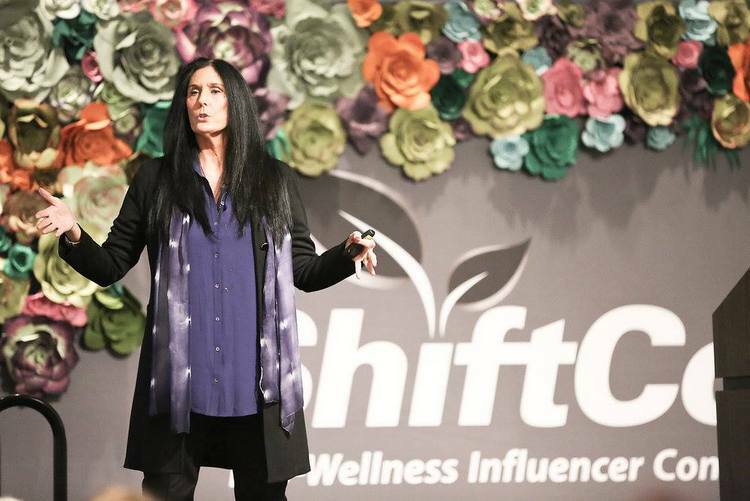 Dr. Low Dog’s passion for nutrition is what led her to not only write several books, but also forge a relationship with MegaFood to ensure their vitamins and supplements can help close the nutritional gap. Since we can not possible get everything we need from our food, we have to turn to things like food fortification and supplements to get it all. Many companies out there offer vitamins and other supplements which are chemically derived. I’ll admit to taking them in the past as the cost is usually less per tablet. But, after that conference and a little more digging, I realized that saving money on each tablet does me little good if it is just peed out. 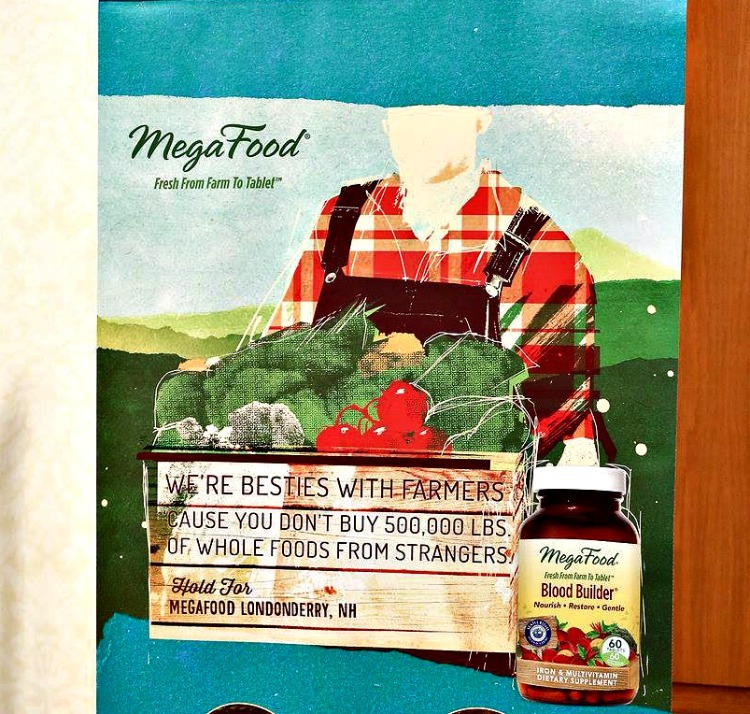 MegaFood offers what is called a whole food supplement. They work with farmers to obtain produce which is as nutritionally dense as possible. Then, that REAL food is taken through their Slo-Food Process which takes all the wonderful fruits and vegetables and ultimately transforms them into a powder. 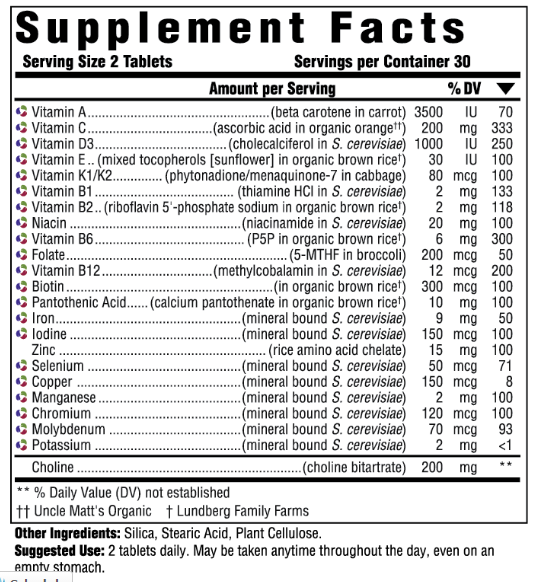 Some supplements are left in powder form and the multivitamins are pressed into tablets. They all have an ‘earthy’ smell to them. A great starting place for most of us it to get a high quality multivitamin. MegaFood offers several options for children or adults. The adult ones are separated by gender. And it gets even more specific as they offer specific ones for certain age groups as well as a prenatal vitamin. This is because our needs change some as we age. As I have crossed the 40 bridge already, I opted to have a bottle of the Multi for Women 40+ sent to me. I just take 2 capsules a day, at the same time or different times. And I can take them on an empty stomach as the process ensures essential vitamins and minerals that are easy-to-digest and gentle on the body. Iodine: This is not naturally occurring in salt, so my ‘fancy’ salt gives me none in my diet. We all need some iodine in our lives, especially those of us with thyroid issues. Vitamin K1/K2: Thanks to Dr. Low Dog’s talk I now know that we need Vitamin K for our bodies for the uptake of calcium into our bones. Calcium chews only have Vitamin D added at the moment. Of course there are many other components, all good for our bodies. And, if you look at their label you can even tell where they are pulling the nutrients from in the production process. With so many immune system ‘issues’ in my life, I can’t say that after a week or so of taking the vitamins and supplements I feel completely rejuvenated. Healing your body takes time. Closing a nutritional gap definitely can take a while. However, I can say that coupled with improved nutrition, lots of water, daily exercise, and a good night’s sleep, I am seeing less crashing in the middle of the day. I have a Healthy Living Tracker sheet that keeps me focused on what I need to do each day. My goal is to get back to where I can enjoy outdoor adventures with my family. And being able to really bring it to my workouts. As I said earlier, there is a lot of evidence that a state of nutritional poverty exists. I currently am reading through Dr. Low Dog’s book to better determine if there are more serious gaps in my own intake. But, rather than just wait until I figure it all out, I am joining with others to take the MegaPledge. In essence, you are pledging to close YOUR nutritional gap by taking a MegaFood Multivitamin daily. When you register, two things happen. (1) You are entered to win prizes. Plus, the first 20,000 pledges will receive a $5 off coupon. (2) MegaFood will donate 1 bottle of Multis to someone in need. Plus, they will make a donation to Wholesome Wave, equivalent to 2 servings of fresh fruits & veggies per pledge for those in need. Hmmm…that sounds like a win for everyone. 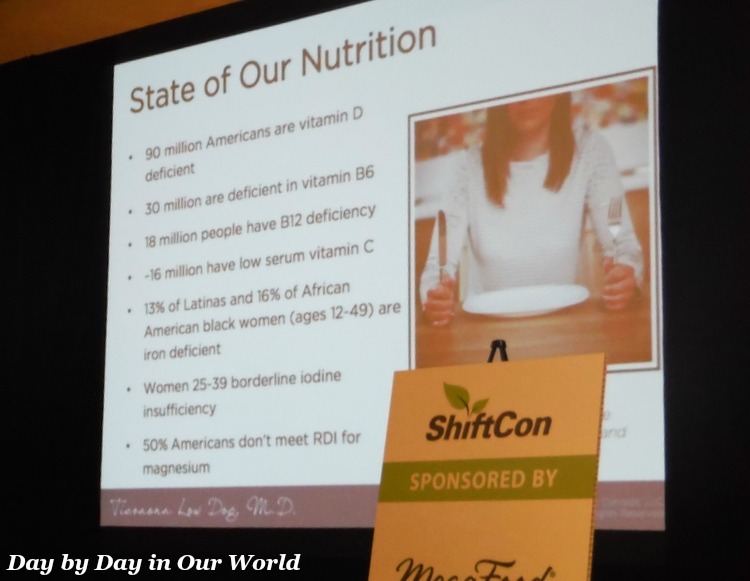 You get improved overall health by closing the nutritional gap and someone in need does, too! MegaFood is launching the MegaPledge via a Facebook Live event on Tuesday, February 7th from 11 am to 5 pm EST. They promise to have some special guest speakers then, including Dr. Low Dog. I am planning to tune in! Of course, taking a multivitamin is not the only thing I am changing. For me, part of closing the nutritional gap is to also purchase and consume foods that are as nutrient packed as possible. Organically grown produce usually has significantly improved levels of nutrition. So, while it is more expensive for me, I am working towards buying more items that are organic as well as investigating how to get back to gardening. Finally, lifestyle changes that help my body to function as it was designed are important as well. This means cutting back on sugar and processed foods as well as making sure to get plenty of physical activity, water and rest. What are some ways that you work to maximize your nutrition? 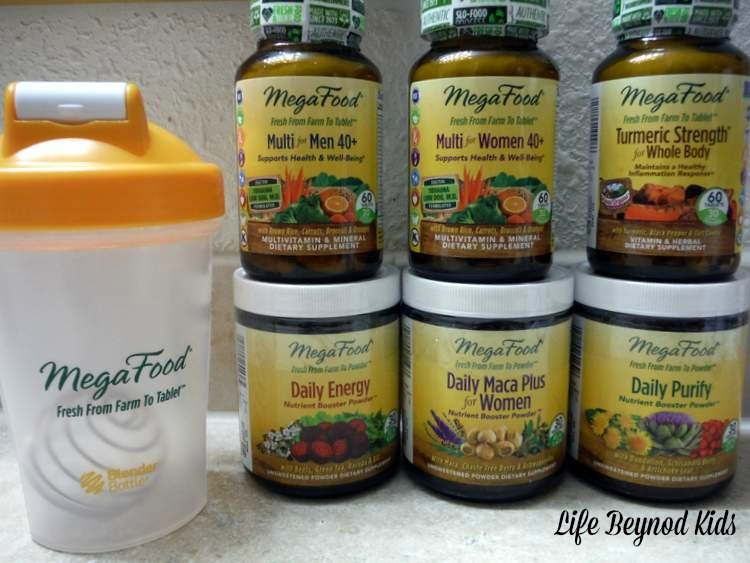 Have you used MegaFood vitamins or supplements? Wow, it seems to be working for you. That is great. I think I could use supplements like this. I really start to feel tired just a few hours into my day. Perhaps I am missing something that these supplements will provide. Dawn, they actually have a supplement I didn't receive that might be worth a look. It is called Blood Booster. So many women have low iron and this one helps. In the process, energy levels tend to rise. I need some of that maca! These supplements look right up my alley! The MegaFood blog has a hot maca drink I want to try soon. This sounds like a wonderful supplement. I'm actually really interested in trying these now. I'm always talking about taking supplements and I never do. I need to start with a multi-vitamin. I love that they work closely with farmers. As I've grown in wisdom, I find that I far prefer spending more on a product when the company has such a strong relationship with their suppliers. I purchase supplements for awhile and do really well. I run out and forget to purchase more. Will have to check into these supplements. This looks like a great multi-vitamin. I take one now but am always looking for ones that have everything that I am looking for in a vitamin! I am so bad about taking supplements, and I know it would really help me to take them regularly. These sound great! I have to work them into my routine. That's the only way I get everything I need. Maybe a sheet like the one I shared to track would help, Pam. Mega Food sounds amazing! I try to eat a healthy diet, but you can't get everything you need in a day no matter what you do. Thank you! I stink at taking vitamins. It doesn't help when I have trouble swallowing pills unfortunately. I'm trying to work on getting better with them. Well, I saw on the MegaFood site that they are working on gummies. And, some of the supplements are powders you add to something. My aunt is the same way about pills. Anything that isn't prescribed from the doctor she wants as a gummy. This is awesome! I take supplements but not on a regular basis. I always forget to take them so maybe that's the reason why I still don't see the benefits I am supposed to get from it. I like this Megafood from what I've read from your post. It sure is complete nutrition! Annemarie, I have routines for my supplements and medication. My kids think I'm nuts, but honestly if I don't do the routine I'll forget something. That's also why I made that pdf to print out and track important things. I love supplements! This sounds like a great one to try. I am always on the lookout for a better brand of vitamin/women's supplement. I'll have to check them out! Not all nutrients are equal in our system, that's where supplements comes in. It really helps keep your immune system better and prevent diseases. I have never taken a supplement before but I should probably look into it. I'm just like everyone else and tend to eat junk food every once in a while! I found this post to be indeed interesting and very educational. In all reality I do believe we are all deficient in a lot of things are bodies need. The Megafood supplements I am for sure going to have to check out. 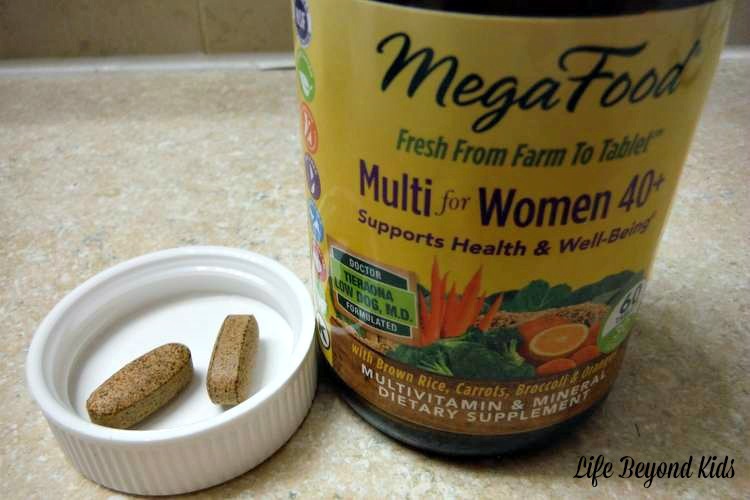 I know I could really use a MegaFood Multivitamin daily. Thanks for sharing the information. This sounds very interesting and I would have loved to hear the talk. I found out I had a serious nutritional gap in Vit D, mine was practically nonexistent. I take supplements daily. This sounds like a great line of nutritional supplements. When I run out of my stash, I will check out this brand for sure. What a great review of these supplements! I think it's great to find a supplement that works for you! These vitamins look to be very good! I will check them out.